SUVs aren’t a staple of Perodua’s sales but given the paradigm shift in consumers tastes towards the utility vehicles, Perodua couldn’t afford to ignore that segment and has finally launched the Aruz seven-seater. 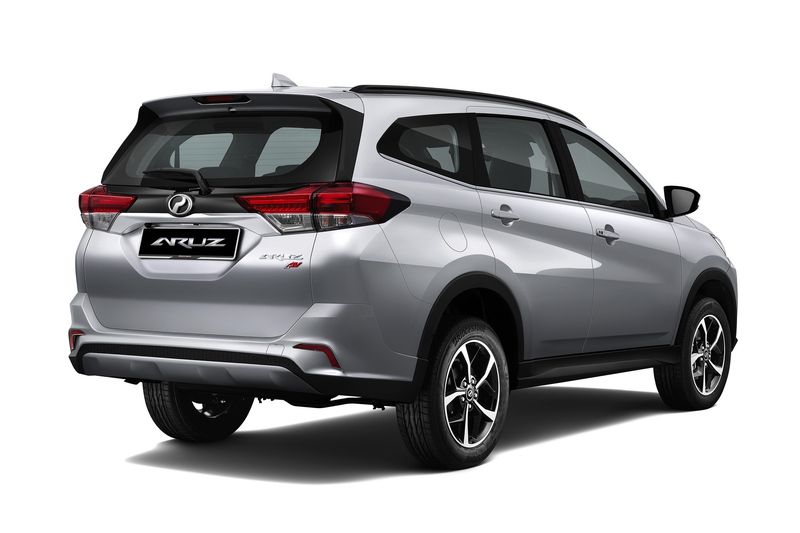 The Aruz will be assembled at its Rawang plant alongside the Toyota Rush; and the similarities between the two are uncanny. Perodua though has truly stepped up its SUV game after the Kembara and the Nautica that panned. Only two variants of the Aruz will be available, an entry-level Aruz 1.5X at RM72,900 and a flagship trim Aruz 1.5AV going for RM77,900. 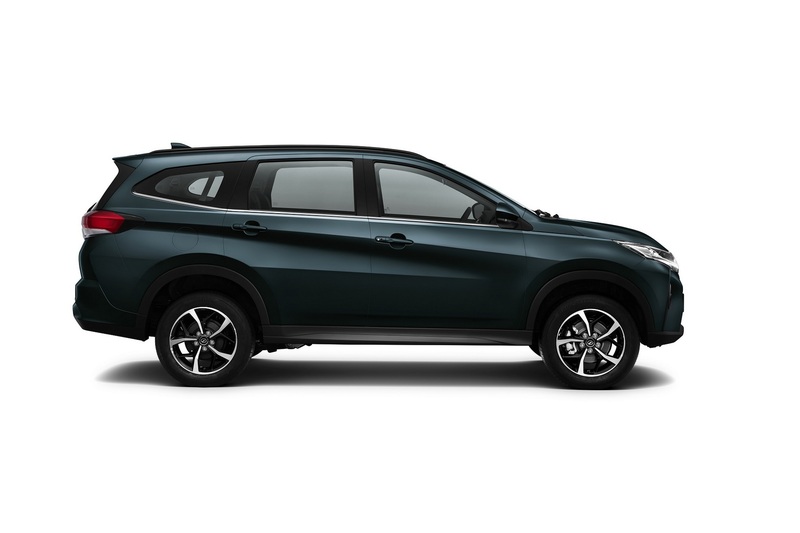 Standard is a five-year or 150,000 km warranty; whichever comes first of course. 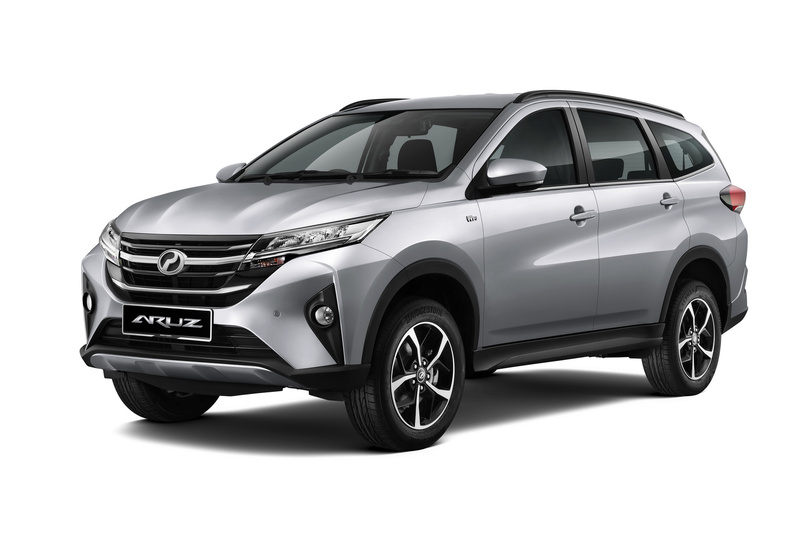 As previously reported, the Aruz will be powered by the same 2NR-VE Dual VVT-i 1.5-litre inline-four that also calls the Rush and Toyota Avanza home. Here, it’s missing a negligible amount of horses and Newton metres of torque at 101hp and 133Nm. Hardly noticeable though a four-speed automatic feeding the rear wheels isn’t helping its case. 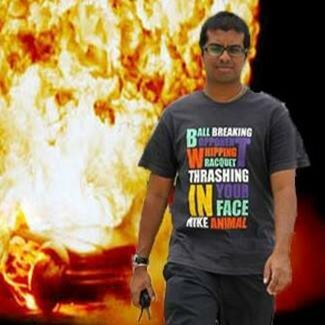 Still, it is what it is. Packing a stop-start function as standard, the Aruz qualifies as an Energy Efficient Vehicle (EEV) under the National Automotive Policy with a claimed fuel efficiency is 15.6km/litre; identical to the Rush. Both variants pack six airbags, a reverse camera, stop-start idle, smart entry, LED headlights, steering-mounted audio controls, 17-inch wheels, rear air-conditioning vents, auto air-conditioning, Smart Tag toll reader and security window tint. 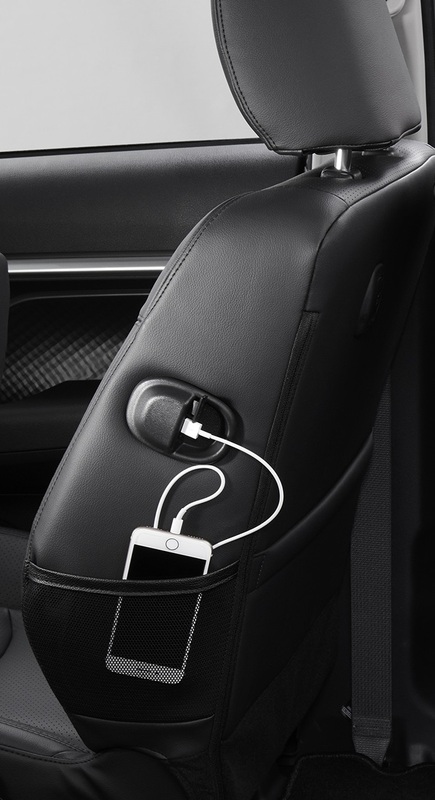 The Aruz 1.5X does however make do with a six-speaker touchscreen infotainment system and fabric seats. 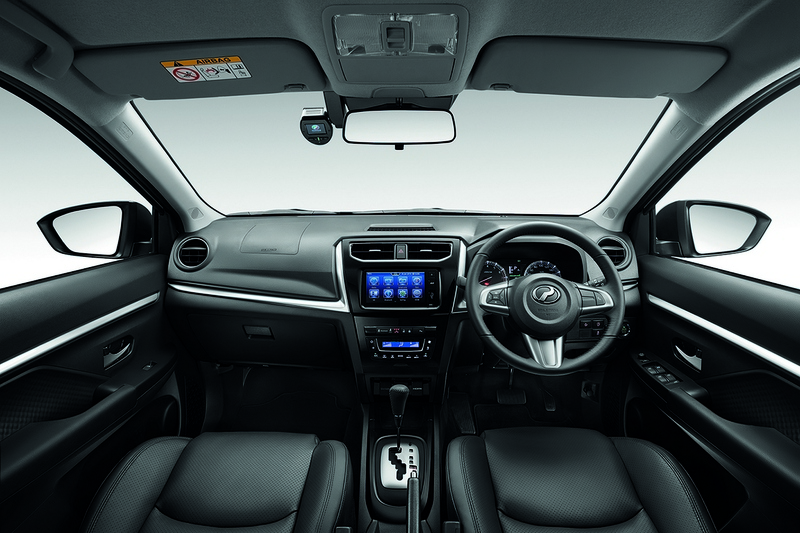 Step up to the Aruz 1.5AV and the upgrade in kit comprises a Perodua Active Safety Assist (ASA) 2.0, infotainment with Smart Link (Android only) and HDMI support, fog lamps, roof rails, leather seats, leather steering wheels with additional buttons for answering calls and an integrated dashcam. Perodua’s ASA 2.0 functions just as it does in the Myvi but with the addition of Pedestrian Detection up to 50kph to the autonomous emergency braking. Completing the safety suite are Pre-Collision Warning up to 100kph, Pre-Collision Braking up to 80kph, Front Departure Alert with Pedal Misoperation Control. An Asean NCAP rating of five-stars was a given with the attention to safety. Four colours are available for the Aruz; one solid and four metallics. The solid is a mandatory Ivory White while the shinier ones are Amazon Green, Granite Grey, Electric Blue and Glittering Silver. Perodua also introduced Perodua Total Protect Plus motor insurance that customers can purchase as an option. 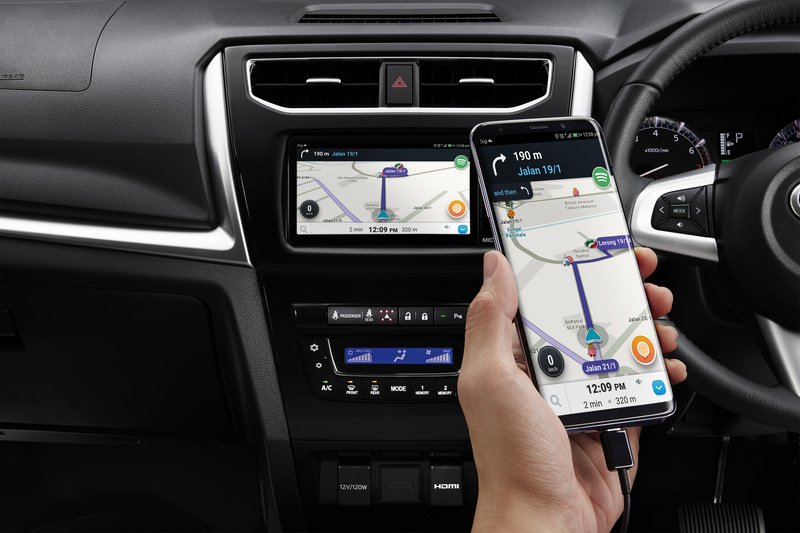 It adds Perodua Auto Assist that gives free unlimited “unnamed” driver coverage, flood allowance up to RM1,000 and Personal Accident coverage up to RM10,000.